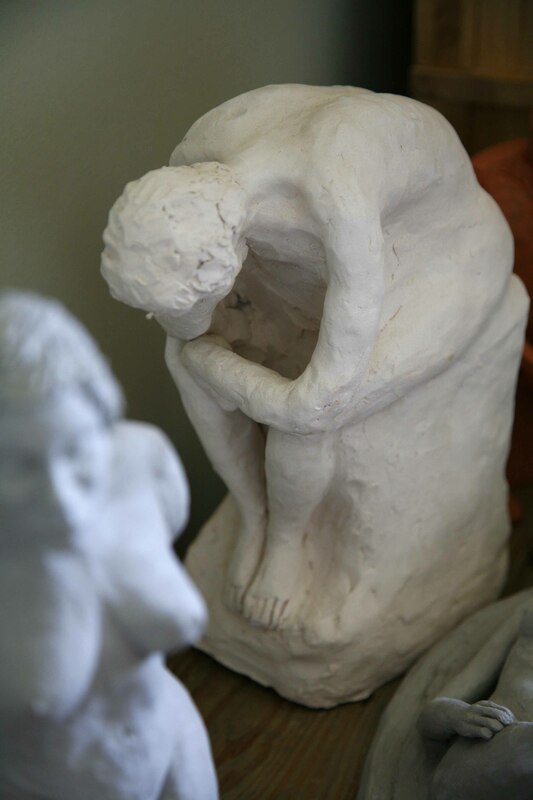 To begin with my posts are going to briefly chart my first year in sculpture…..
You quickly learn that the power to sculpt comes from meticulous observation – literally the closer you observe the life model (what a chore!) the more effectively one can represent the form. Still more sleepless nights and a feeling of being swept along by some strong force – I already felt that this was something I had to do. Over these early months I couldn’t get enough of visiting galleries, artists studios and tutors….grilling everyone about how the art world works and trying to work out where and how I could possibly fit. Everyone was so encouraging and supportive, responding more to my huge enthusiasm than anything else – so thank you to you all, you know who you are! This entry was posted in figurative sculpture, gary scott blog, sculpture blog and tagged figurative sculpture, gary scott, gary scott sculptor, gary scott sculpture. Bookmark the permalink.